Future state of these committees? Response from faculty chairs? Create a store with MLIS-branded gear to raise funds? Who would be buying? Students, alum, community? Partner with local libraries for fundraising events? Professional org partnerships? 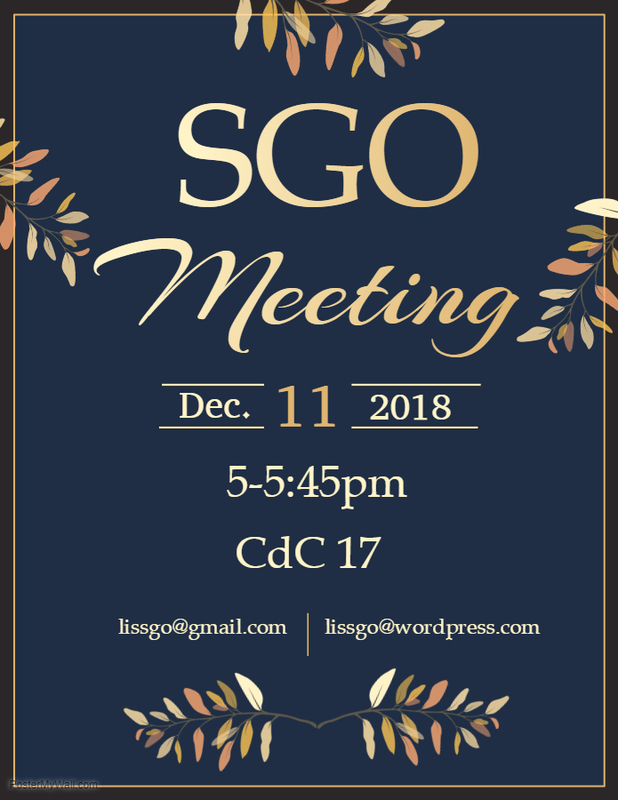 Potentially disband SGO, so that the other student groups could get more out of the fundraising?? Thurs May 23rd? Other dates? Reserve space with computer accessibility – CdC 19, perhaps? Kait, Aubrey, Rachel, Janis, Laura, Kallie, Kim, Deb, Deb T.